A young adult I know has been asking me questions about the bible and about God. Since I took the time to answer her, I thought I would post it here. This is a good question and an important one. If it was just one person writing such a unified message, that wouldn’t be quite so impressive. In fact, In Islam, the entire Qu’ran was written by Muhammed from beginning to end. As you would suspect there’s not much variety. This is not the case for Christianity. The Hebrew scriptures [Old Testament] and the Greek Scriptures [New Testament] were written by scores of different authors. The Bible was compiled and selected from documents spanning over 1500 years! Here are two key things to help you understand how we got the Bible. First of all, there is no way that one person could possibly write in the variety of styles and historical periods (so accurately displayed) if they only lived at one point in time. Archeological exploration has never disproven a fact or time in the bible. Sometimes Archeologist have not uncovered evidence to support something, but they’ve never contradicted the bible. – Moses is the author of the Pentateuch (and he wrote following the Exodus in approximately 1440 BC). He’s responsible for 90% of the first five books (penta= five). – We know that the Pentateuch was certainly completed before the exile in 700 BC because the Prophets preach from it, and the Samaritans who did not get sent away in the exile were reading the same 5 books when the exiled Jews returned. – The book of Psalms were penned by David and others 150 unique poems with a diversity of styles and topics, but all pointing toward the ultimate goal of redeption. – Likewise the prophets in the last part of the old testament all speak in a variety of ways to a variety of people in a variety of occasions and times. – All these Old Testament books were collected and brought together 400 years before Christ. – The Jews translated them to Greek (called the Septuaguint) and preserved them in Hebrew as well. 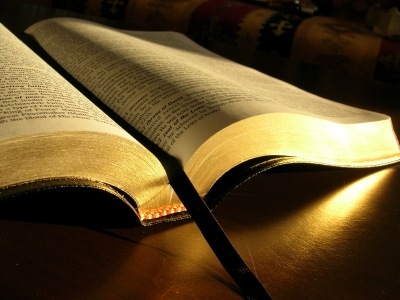 – the New Testament was written between 40 AD and 90 AD give or take. – There was a variety of authors (4 different writers of the gospels), Paul a fifth writer wrote 13 books to various churches, Luke (a gospel writer) also wrote a historical account of the early church, John (an apostle and gospel writer) wrote 3 epistles and the book of Revelation, Peter (one of the apostles wrote two Epistles) and several other books were written that are unique in message and style. The next question is: How can so many human authors write so much and it’s all from God? Two scriptures in the New Testament answer this question. 2 Peter 1:20-21 20 Above all, you must understand that no prophecy of Scripture came about by the prophet’s own interpretation. 21 For prophecy never had its origin in the will of man, but men spoke from God as they were carried along by the Holy Spirit. 2 Timothy 3:16-17 16 All Scripture is God-breathed and is useful for teaching, rebuking, correcting and training in righteousness, 17 so that the man of God may be thoroughly equipped for every good work. In other words the scriptures were divine and human. God moved the men to write using their own personalities to craft the exact words he wanted to communicate so that through them he was speaking with authority. He used a variety of men to speak as a powerful mosiac to speak dynamically then and now using their individual pieces to shape a larger message. Comments Off on The Bible—who wrote it?